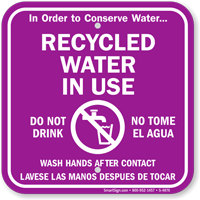 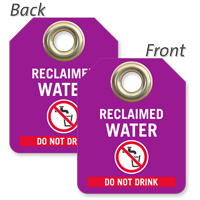 Prevent accidental consumption of reclaimed water by marking valves, pipes, and faucets with Reclaimed Water Tags as warning. 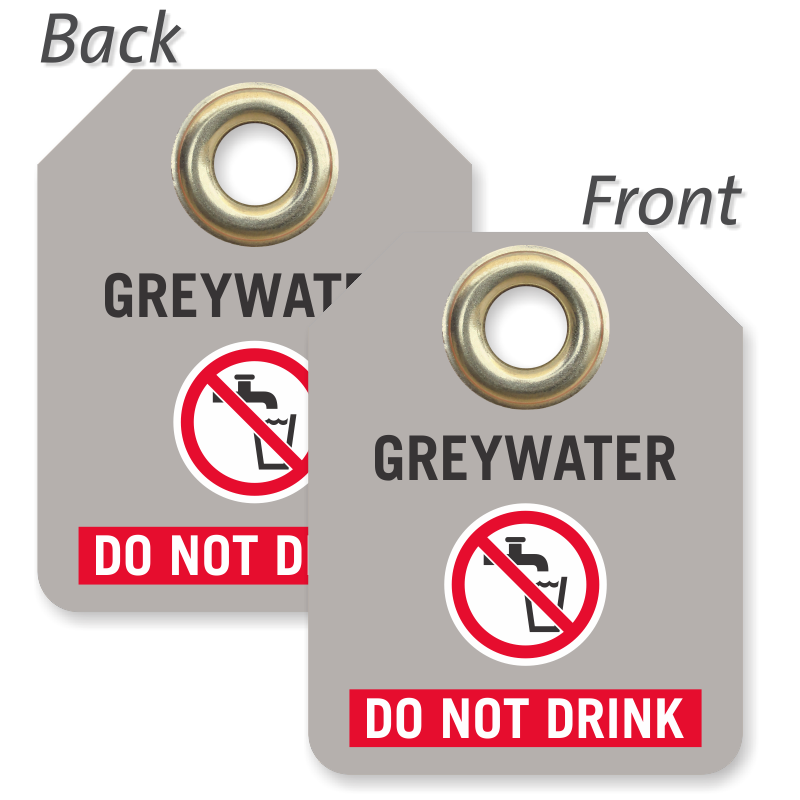 • Double-sided tags are made using heavy-duty plastic with a metal eyelet to secure tag with a wire/tie/string. 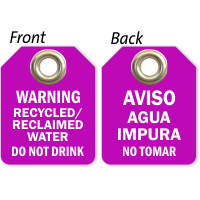 • Tags are available in a variety of colors depending on your needs. 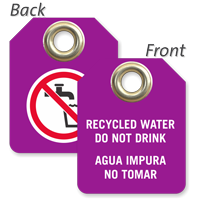 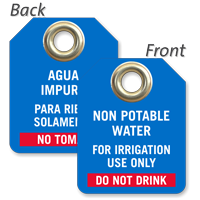 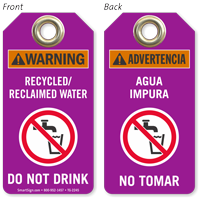 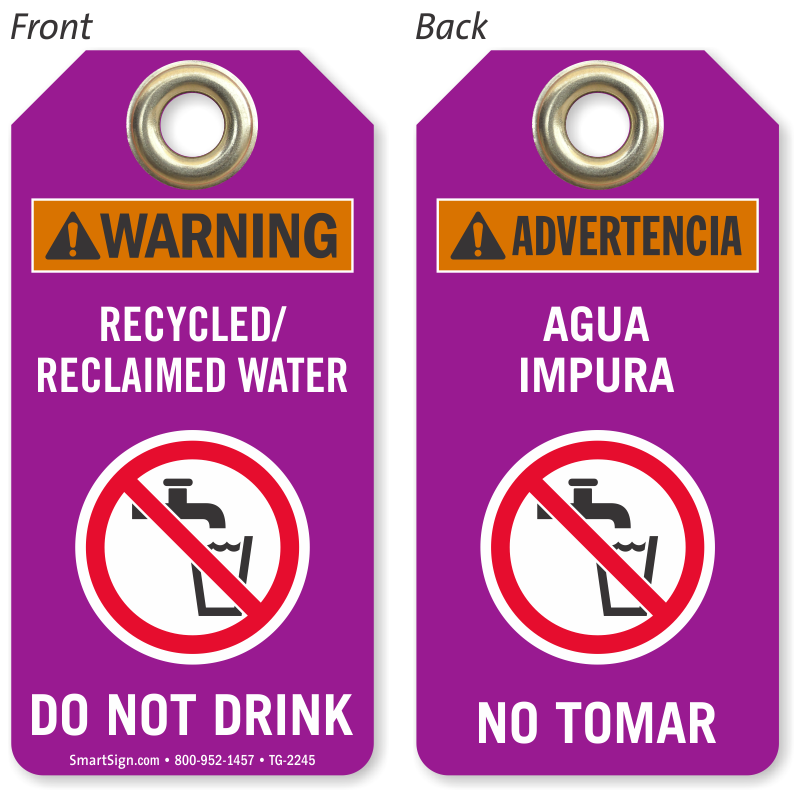 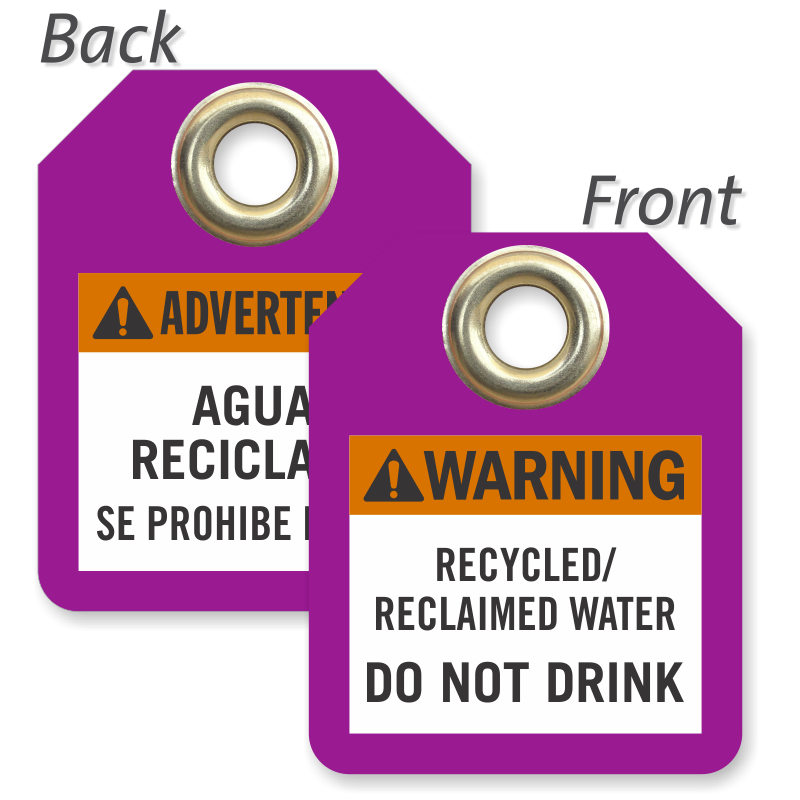 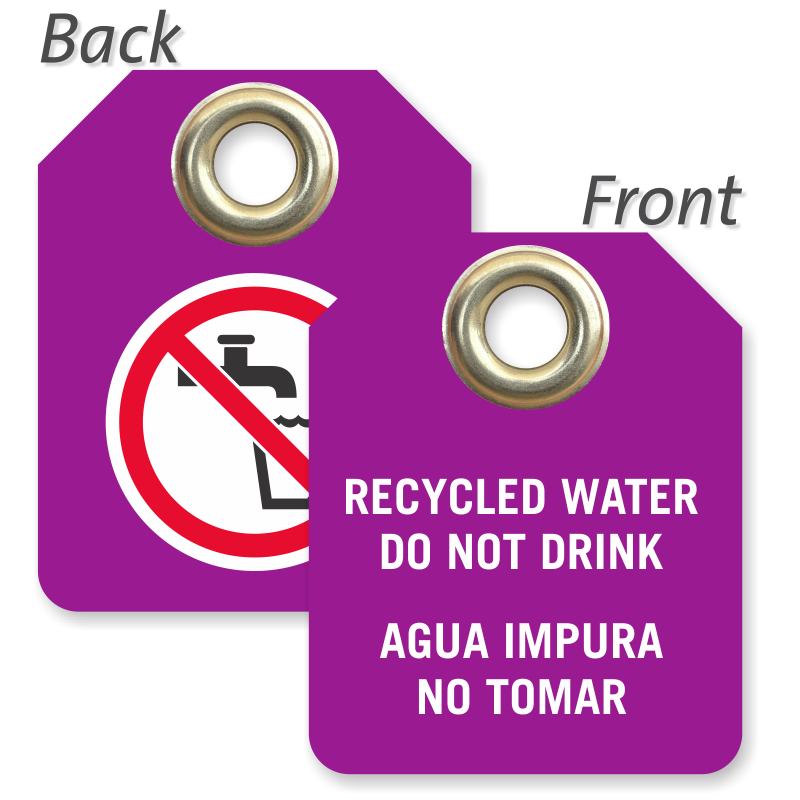 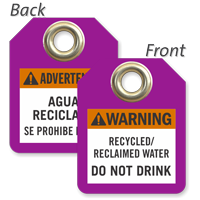 Purple tags are designed to conform to the APWA and ANSI standard for color coding. 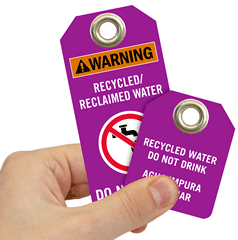 • Tags are printed with UV-resistant inks to prevent fading from prolonged exposure in the sun. 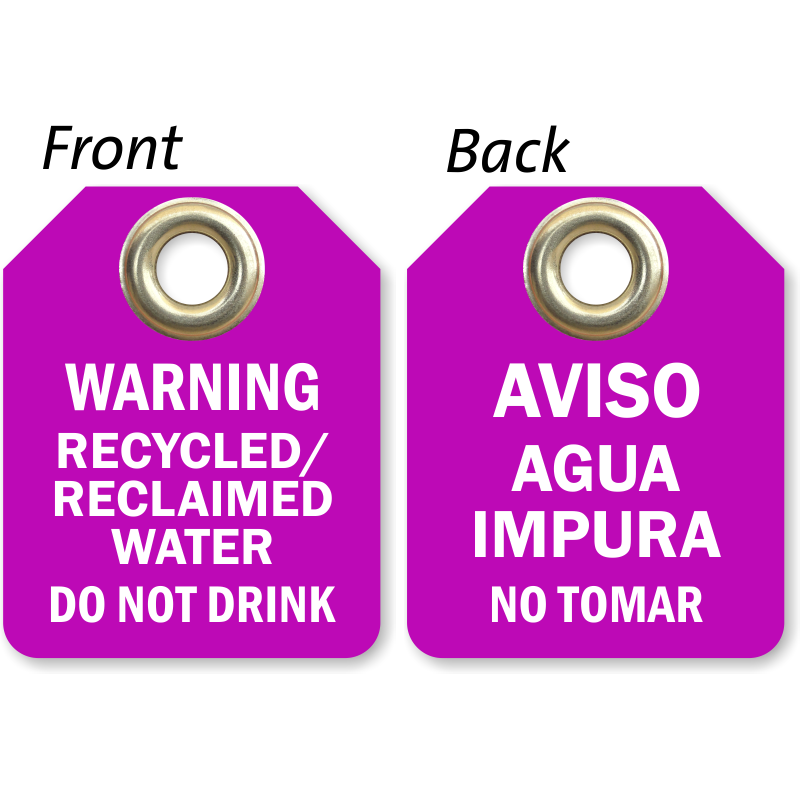 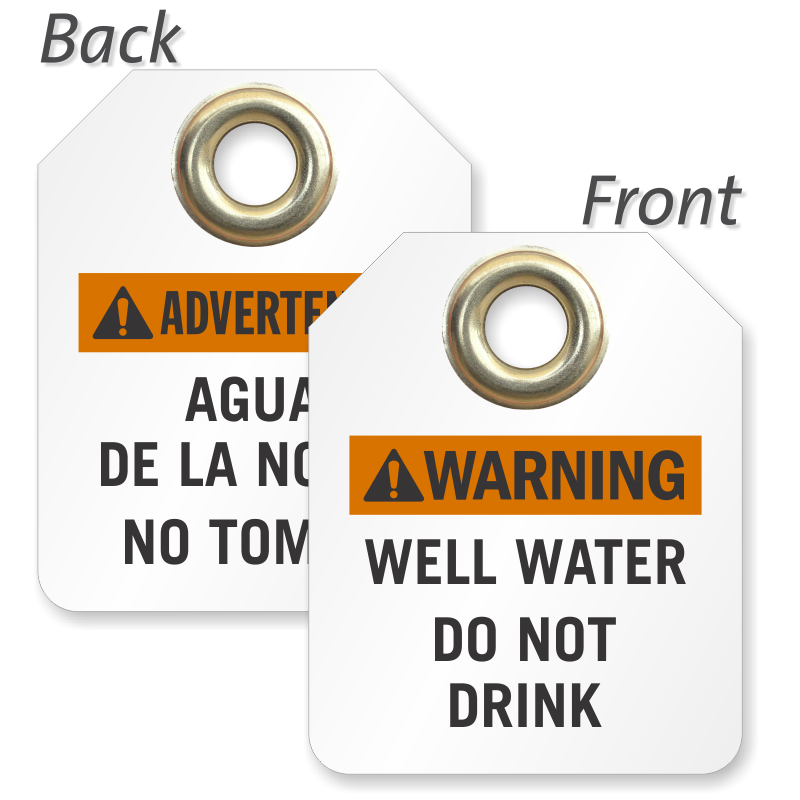 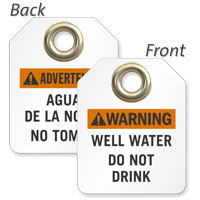 • Order Bilingual tags to ensure even the non-English speakers understand your warning. 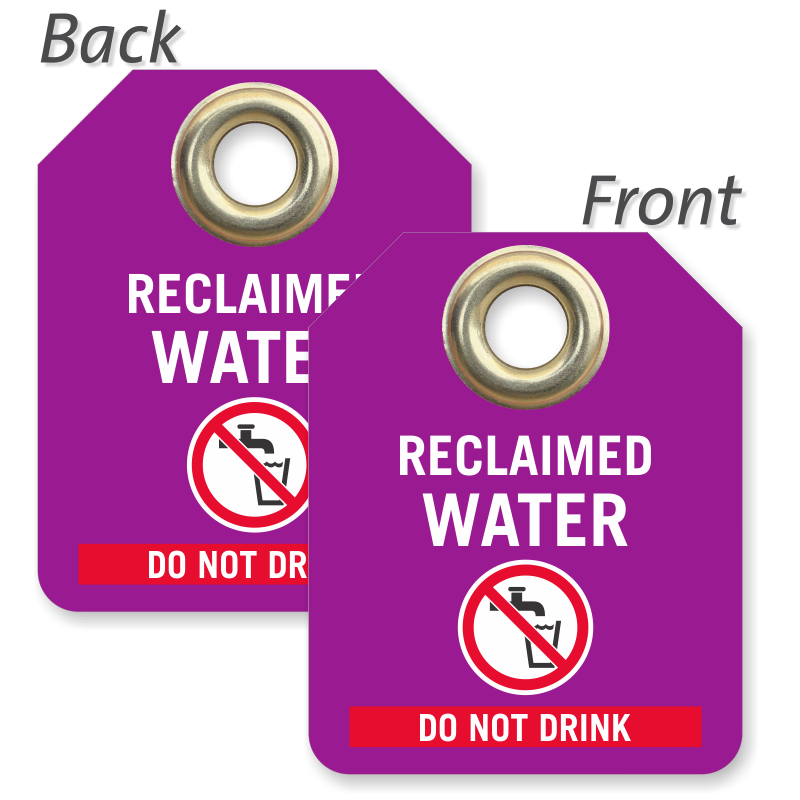 Graphics on tags aid in universal understanding of your message.